5G is expected to be the next game-changer in ICT. This latest upgrade in cellular technology promises to meet the need for faster internet speeds, better security, and the ability to accommodate billions of connected devices in the coming years. And it’s almost here. According to industry analysts, 5G will be rolled out in most countries by 2020. There’s tremendous activity around the development of 5G network and devices. According to Netscribes technology research, there has been a 300% increase in the number of related patent publications in 2017 since 2015. What’s more interesting is that 31% of 5G patents are assigned to only six companies. Samsung has a major share with over 600 patents and is followed by other large corporations such as Intel, Nokia, Huawei, Ericsson, and ZTE. Samsung has already unveiled a slew of pre-commercial versions of end-to-end 5G mobile network products and solutions, including home routers, maintenance and operation systems and 5G RF Integrated Circuit (RFIC) chipset and ASIC modems. Samsung has also announced that it will focus on extending its portfolio with support for the millimeter wave spectrum and spectrum below 6 GHz. 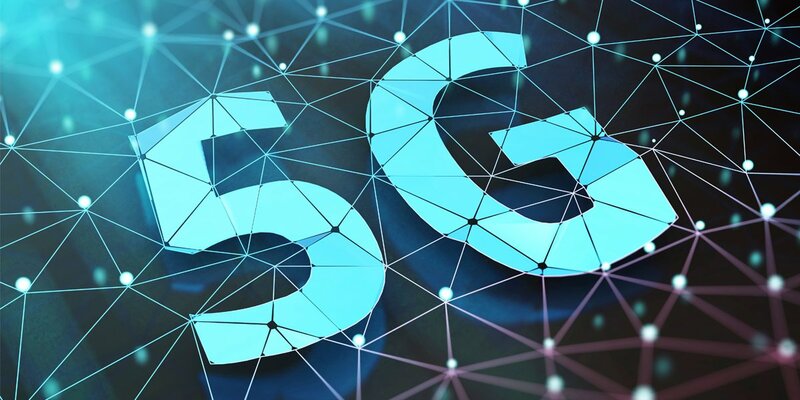 In addition, Samsung has completed several 5G trials across Seoul and the US in collaboration with mobile operators such as SK Telecom, Charter Communications, Verizon, and AT&T. Intel recently launched its 5G Mobile Trial Platform which is powered by Intel’s field-programmable gate array (FGPA) circuits and Core i7 processors, enabling it to implement the latest communications protocols and air interfaces. The company is driving the development of technologies through extensive partnerships and collaborations with tier-1 service providers, telecom equipment manufacturers, and infrastructure partners. Intel is also actively conducting end-to-end interoperability developmental tests across countries in different conditions. It has been working closely with the standards bodies and plays a major role in the standards evolution that will help define the 5G market in the coming years. Based on the technical specifications outlined by the Verizon 5G Technology Forum ecosystem, Nokia’s 5G FIRST solution aims to help mobile operators deploy advanced 5G networks quickly and smoothly even before the standards are finalized. According to Nokia, the solution comprises its radio access network (RAN), including Nokia AirScale massive MIMO Adaptive Antennas, packet core, and mobile transport solutions as well as a full-service offer using Intel architecture and the Intel 5G modem for initial deployments starting in 2017. Huawei is making important strides in bringing 5G into reality. In 2016, Huawei announced its breakthrough in polar coding. More recently, Deutsche Telekom installed the first 5G antennas in Berlin that were manufactured by Huawei. Huawei has also partnered with Intel to launch 3GPP 5G New Radio (NR) based Interoperability Development Testing (IODT) to verify 5G technologies and their degree of maturity. In India, it has partnered with Bharti Airtel to launch the country’s first massive MIMO antenna technology to expand existing network capacity by five to seven times. The Swedish telecommunications giant is focused on helping telecom operators and industries be ready for 5G by offering a range of products and solutions. Ericsson’s 5G Radio Prototypes, for example, enables operators to test 5G capabilities live in their own network environments. Ericsson recently introduced its first 5G NR radio for frequency division duplex (FDD) massive MIMO, AIR 3246, which supports both 4G/LTE and 5G NR technologies. Ericsson’s Radio System Software brings together LTE FDD and TDD, WCDMA and GSM into a unified architecture. This provides one O&M system for all standards, which helps operators better manage the network. ZTE has developed a series of innovative technologies for implementing the new 5G air interface such as filters OFDMA FB-OFDMA, MUSA, MIMO, UFS, smooth virtual cell (SVC) and so on. Its 5G network architecture is based on Software Defined Networking (SDN) / Network Functional Virtualization (NFV) technology. ZTE has been actively involved in patent filings in the last five years. Most of its patents are focused on Radio Transmission systems, SDR systems, Orthogonal Multiplex Systems, synchronization corrections systems, distributed coding technology, network latency, network planning, and network security. The fifth generation of wireless communication is set to impact major industries such as media and entertainment, automotive, public transport, healthcare, and energy and utilities. IoT is expected to play a larger role in day-to-day lives and change the way companies interact with customers. To stay prepared, understanding the shifts in the market, technology, and competitive landscape as-they-happen is paramount. Contact us for the latest research and analysis of the 5G technology market landscape.